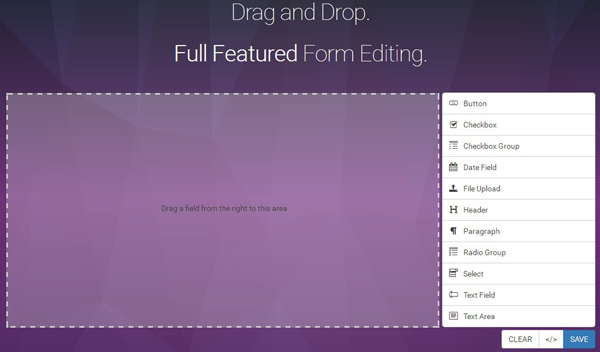 formBuilder is a jQuery plugin for drag and drop form creation.jQuery formBuilder is a 100% client-side plugin that gives users the power to create forms using an intuitive drag and drop interface. FormBuilder supports a number of form fields and some html tags. SVG icons may be all the rage, but for now formBuilder still uses an icon font generated with Fontello and Gulp. Fontello makes it easy for developers to collaborate by providing an API we can incorporate with our normal build processes.